Utilizing high-quality antennas is a cost effective way to upgrade the performance of an existing radio systems for better RF link margin and higher data/video throughput across many types of terrain and operating conditions. 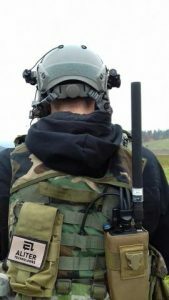 While many radios are now outfitted with performance-focused antennas direct from the factory, older radios or products that have seen multiple years of field deployment may no longer be matched with the best performing accessories. Upgrading the antennas used with each radio is an easy way to extend the operating life of existing radio stock and ensures those who are using them can communicate when and where they need without technical difficulties.